2012 CMA Awards nominations were announced today (September 5). Jason Aldean, Kenny Chesney, Brad Paisley, Blake Shelton, and Taylor Swift are nominated for Entertainer of the Year. 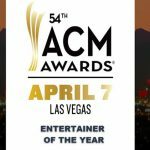 Eric Church leads the pack with five nominations, followed by Blake Shelton and Miranda Lambert with four nominations each. Jason Aldean, Dierks Bentley, Kenny Chesney, Little Big Town, and Taylor Swift each received three nominations. Hosted by Brad Paisley and Carrie Underwood, The 46th Annual CMA Awards will be broadcast live from the Bridgestone Arena in Nashville Thursday, Nov. 1 (8:00-11:00 PM ET) on ABC. 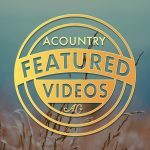 For the seventh year, the announcement of the final nominees in five of the 12 CMA Awards categories was made live on ABC News’ “Good Morning America” with Aldean and Luke Bryan delivering the news from the heart of New York City’s Times Square. They then dashed to nearby B.B. King Blues Club and Grill to announce the finalists in the remaining seven categories during a press conference that was made available across the world via live stream at CMAworld.com. 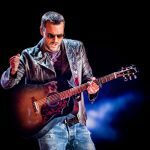 Eric Church received his first CMA Awards nomination last year for New Artist of the Year. A year later, he tops the list of nominees with five including Male Vocalist; Album for Chief, which was produced by Jay Joyce; Single of the Year for “Springsteen,” also produced by Joyce; Song of the Year for “Springsteen,” written by Church, Ryan Tyndell, and Jeff Hyde, a member of Church’s band; and Music Video of the Year for “Springsteen,” directed by Peter Zavadil. Miranda Lambert and Blake Shelton were close behind with four nominations each, including a shared nomination for Song of the Year for “Over You.” Only a handful of married couples have penned Song of the Year nominees including “Mommas Don’t Let Your Babies Grow Up To Be Cowboys” by Ed and Patsy Bruce (1978), and two songs by Sanger D. “Whitey” Shafer: “Does Fort Worth Ever Cross Your Mind” with his third wife Darlene Shafer in 1985, and “All My Ex’s Live in Texas” with his fourth wife Lyndia Shafer in 1987. Tammy Wynette and George Richey wrote “’Til I Can Make It On My Own” with Billy Sherrill, which was nominated for Song of the Year in 1976, but they did not marry until 1978. Lambert, the reigning CMA Female Vocalist was also nominated for Female Vocalist of the Year; Album of the Year for Four The Record, produced by Frank Liddell, Chuck Ainlay, and Glenn Worf; and Music Video of the Year for “Over You,” directed by Trey Fanjoy. Jason Aldean holds the current title for CMA Album of the Year for My Kinda Party and Musical Event of the Year for “Don’t You Wanna Stay” with Kelly Clarkson. This year, he picked up nominations for Entertainer, Male Vocalist, and Single of the Year for “Dirt Road Anthem,” produced by Michael Knox. There was no place like Home for Dierks Bentley. He received three nominations for Album of the Year for Home, produced by Brett Beavers, Luke Wooten, and Jon Randall Stewart; Single of the Year for “Home,” produced by Beavers and Wooten; and Song of the Year for “Home,” written by Bentley, Beavers, and Dan Wilson, lead singer of Semisonic. Kenny Chesney, who is the reigning CMA Award winner for Music Video of the Year for “You and Tequila” with Grace Potter, picked up three nominations in 2012 for Entertainer of the Year; Musical Event of the Year for “Feel Like A Rock Star” a duet with Tim McGraw; and Music Video of the Year for “Come Over,” directed by Shaun Silva. If Chesney wins Entertainer of the Year, he’ll take the record for the most wins in the category. 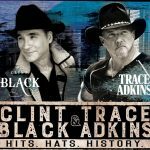 Chesney is currently tied with Garth Brooks winning the trophy four times in 2004, 2006, 2007, and 2008. Little Big Town made a splash with “Pontoon” in 2012. The popular group was nominated for Vocal Group of the Year in addition to capturing nominations for Music Video and Single of the Year for “Pontoon,” directed by Declan Whitebloom and produced by Jay Joyce respectively. Joyce has produced albums by a diverse roster of artists including Audio Adrenaline, Cage the Elephant, Patty Griffin, Emmylou Harris, John Hiatt, The Wallflowers, and The Whigs. Taylor Swift, the reigning CMA Entertainer of the Year, was nominated in the top category again in 2012 in addition to nominations for Female Vocalist and Musical Event of the Year for “Safe & Sound” featuring The Civil Wars. Swift won her first of seven CMA trophies in 2007 with the Horizon Award. Brad Paisley rounds out the Entertainer of the Year category. Paisley’s nominations keep him third on the list of artists with the most career nominations in CMA Awards history. He has been nominated every year since 2000 and has now amassed an incredible 58 nominations. Kelly Clarkson, who shares the current CMA trophy for Musical Event of the Year with Aldean, makes her debut in the Female Vocalist of the Year category in 2012. Clarkson has a previous nomination for Musical Event of the Year with Reba McEntire for “Because of You” in 2007. 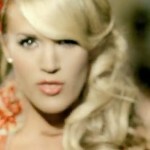 CMA Awards co-host Carrie Underwood received her seventh nomination for Female Vocalist of the Year. Underwood won Female Vocalist in 2006, 2007, and 2008. If Underwood wins the Female Vocalist of the Year trophy again, it will tie her with Martina McBride (1999, 2002-2004) and Reba McEntire (1984-1987) for most wins in this category. McBride is nominated in the category again in 2012, with Clarkson, Lambert, Swift, and Underwood. Eric Church was not the only artist making his debut in the Male Vocalist category. Luke Bryan enters the elite list for the first time in 2012. Bryan also picked up a second nomination for Album of the Year for tailgates & tanlines, produced by Jeff Stevens and Mark Bright. Keith Urban completes the Male Vocalist of the Year category. Urban won the trophy three times (2004, 2005, and 2006). New to the Vocal Group of the Year category with their first CMA Awards nomination is the Eli Young Band. Rounding out the list of nominees are The Band Perry, who received their first CMA Awards in 2011 for New Artist of the Year and Single and Song of the Year for “If I Die Young,” written by Kimberly Perry; Little Big Town; Zac Brown Band; and Lady Antebellum, the reigning Vocal Group of the Year for the past three consecutive years. Lady Antebellum is also nominated for Album of the Year for Own The Night, which the group produced with Paul Worley making them eligible to receive a second trophy for producing the nominated record. Ten-time CMA Awards nominees Big & Rich are back in the Vocal Duo of the Year Category in 2012. 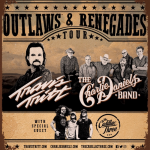 Joining them on the list are first-time nominee Love and Theft, who are also nominated in the New Artist of the Year category; Sugarland, who have claimed the trophy five times (2007-2011); The Civil Wars, and Thompson Square, who each debuted in the category in 2011. Thompson Square is also nominated for New Artist of the Year. They received their first nomination in the category in 2011. In addition to Love and Theft there are several new faces in the category including Brantley Gilbert, Hunter Hayes, and Lee Brice, who announced the CMA Broadcast Award finalists at a CMA membership breakfast today in Nashville. Artists can only be included in this category two times. Receiving his 28th career nomination in 2012 was Toby Keith for the Music Video of the Year for the party anthem “Red Solo Cup,” which was directed by Michael Saloman. The Song of the Year trophy is presented to and celebrates the songwriters. Nominees in addition to those previously mentioned include “Even if It Breaks Your Heart” by Will Hoge and Eric Paslay (recorded by Eli Young Band). The song was the first No. 1 for Hoge, who is a solo artist in his own right. Paslay also has a blossoming solo career and has penned songs for Lady Antebellum, Jake Owen, and Love and Theft. This is their first CMA Awards nomination. 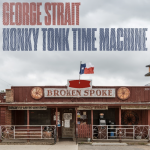 Alan Jackson’s nomination ties him with George Strait for the most career CMA Awards nominations with 81 each. The Musician of the Year category included Sam Bush (mandolin), who was nominated in the category for the first time in 2011, along with Paul Franklin (steel guitar), Dann Huff (guitar), Brent Mason (guitar), and the current title holder Mac McAnally (guitar). The 2011 CMA Awards was the No. 1 entertainment show for the week among the key advertising Adults 18-49 sales demographic. The special beat its nearest competition by 5.6 million viewers and by 26 percent in Adults 18-49, according to Nielsen. Held during November Sweeps (Nov. 9), “The 45th Annual CMA Awards” on ABC dominated the night winning all six of its half-hours in total viewers and Adults 18-49. With a primetime sweep, ABC finished No. 1 on Wednesday in Viewers across all key demos including Adult, Men, and Women (18-34/18-49/25-54), as well as finishing as the top broadcaster with Teens (12-17). In Total Viewers (16.4 million; 17.49 Live+7) and Adults 18-49 (4.8/13; 5.2/14 Live+7) it was ABC’s strongest Wednesday in two years with an estimated 35 million viewers watching at least some portion of the three-hour live gala. 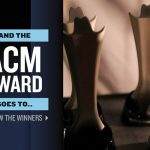 Winners of “The 46th Annual CMA Awards” will be determined in a final round of voting by eligible voting members of the Country Music Association. CMA Awards balloting is officiated by the international accounting firm of Deloitte & Touche LLP. The third and final ballot will be emailed to CMA members Thursday, Oct. 4. Voting for the CMA Awards final ballot ends Monday, Oct. 22 (5:00 PM/CT). 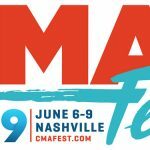 The CMA Awards nominees and winners are determined by the 11,000 industry professional members of CMA, which was formed in 1958 as the first trade organization to promote an individual genre of music. The first “CMA Awards Banquet and Show” was held in 1967. The following year, the CMA Awards was broadcast on NBC television for the first time – making it the longest-running annual music awards program on network television. The Awards aired on NBC through 1971 and on the CBS Television Network from 1972 through 2005. The CMA Awards moved to ABC in 2006, where it will remain through 2021.